12. Georg Heinrich Ludwig Utermöhlen, known as George (August6, Johann Jobst5, Jürgen Christoph4, Johann3, Hans Heinrich2, Andreas1), was born on 12 January 1840 at Bollensen, a son of Johann Wilhelm August Utermöhlen and Hanne Melusine Friederike Schröder. H. C. Jorn married Luise U. just before coming to America. H. C. Jorn and his brother‑in‑law Geo. U. got permission to emigrate to America in 1866‑‑after the war in which Prussia got Hanover. They crossed in six weeks on a sailing vessel from Bremen to Baltimore. William C. Utermohlen said that, under the draft system in use, his father George was required to serve six years in the Army over a ten year period beginning when he was 18. Soldiers served two years, then were released for two years, served another two years, were released for two years, and then had a final two years of service. Military service was thus not complete until the soldier was 28. George apparently served two hitches and was able to get permission to emigrate before the third. He was said to have had a horse shot out from under him on one occasion and to have been motivated to emigrate in part by the desire to avoid further military service. Another anecdote is that the night before he was to leave for America George was carefully sorting his possessions before the fire. In one pile he placed the things he planned to take with him, including some bonds that represented all his savings. When he had finished sorting everything, he stood up and threw one pile into the fire. Too late he realized that he had picked up the wrong pile and all his savings and keepsakes had been destroyed. George arrived in Baltimore with Henry and Louisa Jorn on the Germania, out of Bremen, on 14 June 1867. The passenger list gives the final destination of the 261 passengers and George and his sister and brother-in-law gave their destination as Wisconsin. They went first to Green Bay, where they probably had relatives. George remained in Wisconsin about three years, removing at some point from Green Bay to Milwaukee. 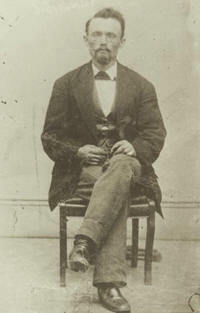 About 1870, he came to Atchison County, Missouri, near Rock Port, where he became an American citizen on 18 September 1872. On 1 March 1877, at the residence of her half-brother, Harm, George married Modrina (Rena) Kuper, daughter of Jann Eden and Mena (Bohlen) Kuper. 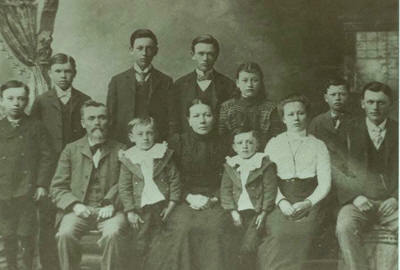 Rena had come to Atchison County from Hannover in 1874. She was born 19 December 1857 at Firrel, Ostfriesland, Hannover. George and Rena remained in the Missouri River valley near Rock Port, either in Benton or Clark townships, until the winter of 1887-88, when they crossed the Missouri River ice into Nebraska. They settled in Ohio township, north of Falls City, Richard­son County. 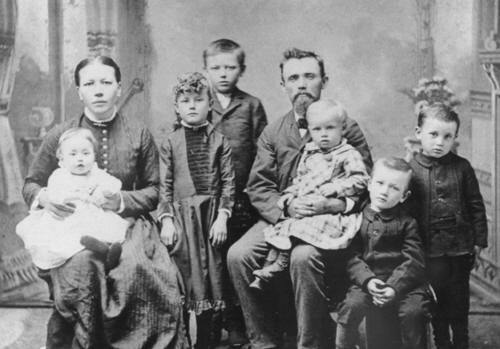 At the time of George's death, the family was living on a rented farm northeast of Dawson (in Grant precinct), known as the O'Grady place, where he died on 19 January 1909. 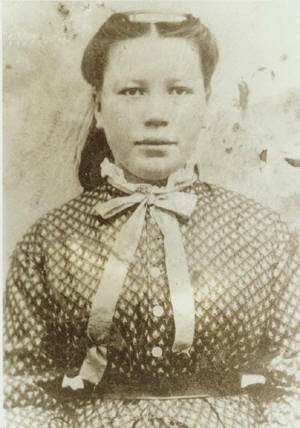 Later a farm was purchased somewhat south of that location, where Rena lived until moving into Falls City, where she resided at 1912 Wilson Street, with her daughter Minnie, until her death on 26 December 1926. George and Rena are both buried at St. Paul's Evangelical Lutheran Church (six miles north of Falls City and five miles east of Verdon).